The window for opting into coverage ends August 29. You can pay the fee through RevTrack or in your school’s main office. 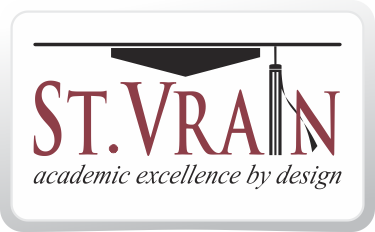 St. Vrain is excited to offer families of incoming 6th graders an opportunity to join a community-wide course designed to guide families through activities and conversations around school, home, technology and learning. Parenting in a Digital Age, with Devorah Heitner, author of Screenwise: Helping Our Kids Thrive (and Survive) in Their Digital World. Each module will last 1-2 weeks and consists of a short video introduction, resources for learning, a family activity, and a live discussion. Contact your school for more information on how to join the course. While this course is designed for families of incoming 6th graders, the district plans to expand discussions with families around technology and learning in the future, so stay tuned! As we start a new year of school, it’s a great time to revisit your family’s media habits and create a family media plan. Doing so helps you and your child have meaningful conversations that align your family values and priorities with the use of technology. The American Academy of Pediatrics has a comprehensive tool that you can use to create your own family media plan that is customizable by age and by parent expectations. Find it on their website along with a tool to calculate your family’s media use. Generation Z (our current students, or the generation that came after Millennials) are growing up surrounded by smart phones and tablets, intuitive about using devices, and tend to be involved in various forms of social media. So, what’s it like to be a teenager these days, growing up surrounded by technology and participating in social media? Read this interview with 16-year-old Cole, who talks about social media, FOMO (Fear of Missing Out), depression, and the positive impacts of social media in this article from UseTech4Good, Gen Z Shares How to Use Social Media for Good. Back in November of 2017, the Instructional Technology Advisory Committee (ITAC) met to discuss and provide a recommendation about refresh options for iPads that were due to be retired. After looking at hardware specifications, examining data from surveys of teachers, students, and parents, and exploring learning tasks on different form factors, the committee recommended a change from the iPad mini to a full-sized iPad based on the curricular and student use benefits of the full-sized iPad. As devices are refreshed, students will receive 9.7″ iPads instead of iPad minis. In addition, we are excited that beginning in August 2018, the cost of the SVVSD iPad insurance program is going down from $35 a year to $25! Click here for more information about the insurance program.